This is no time for consumers to be passive about health care. 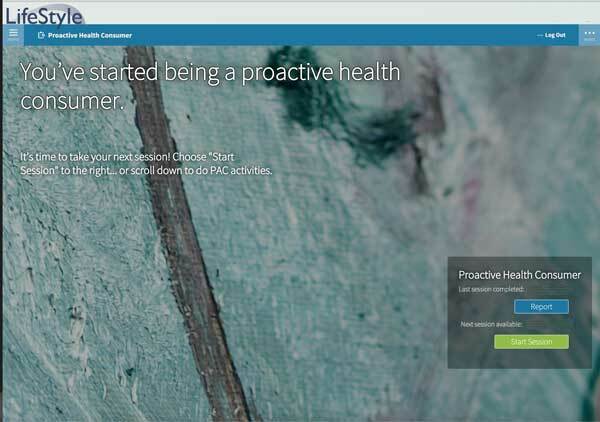 The Proactive Health Consumer program (PHC), promotes behavior change and increases well-being by delivering a population based, individualized, and interactive intervention that helps individuals be proactive by taking more responsibility for their health, health care, and health care costs in their multiple roles as patients, providers, and purchasers of health care. Using health services wisely and shopping for the best quality of care at the lowest price. An interactive Personal Activity Center designed to assist people with each dimension of being a proactive health consumer. Activities include interactive and editable scripts about how to talk with a doctor about difficult topics, a queue to organize and prioritize questions for a medical appointment, quizzes about health care costs and links to helpful cost and quality tools and much more. An article on the Proactive Health Consumer program from the journal “The Art and Science of Health Promotion” is available as a PDF Download. Contact us to learn more about our Proactive Health Consumer program.